It seems the NFL has deemed that Adrian Peterson has suffered enough, and is now ready to get back and play football for the Minnesota Vikings. Rodger Goodell, the commissioner, stated that they will lift his suspension and will be able to return to the league; however, he will still have to comply with remaining obligations to the authorities in Minnesota and Texas. 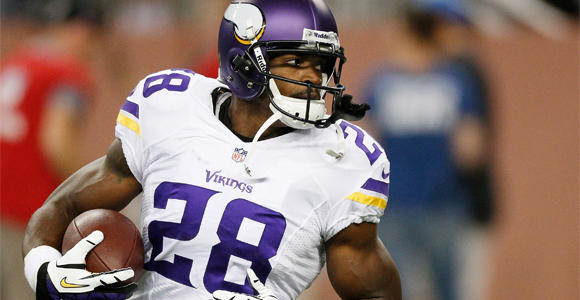 The Vikings are trying to hold onto Peterson, as he is their star tailback. It doesn’t seem he has the same wishes, as he may be looking for a new football team to call home. No one knows how much longer Peterson has left in the NFL, since if he violates another Personal Conduct Policy he may get a much more sever punishment, possibly banishment from the NFL altogether. While we are happy the Vikings may be able to hold their own this upcoming season, we do not condone the light sentencing that is always given to the star players. One incident did receive the full weight of the law, as Aaron Hernandez was found guilty of murder and given a life sentence. Hopefully more players start learning from their team mates mistakes, as we would hate it if the NFL didn’t have enough star players to watch.